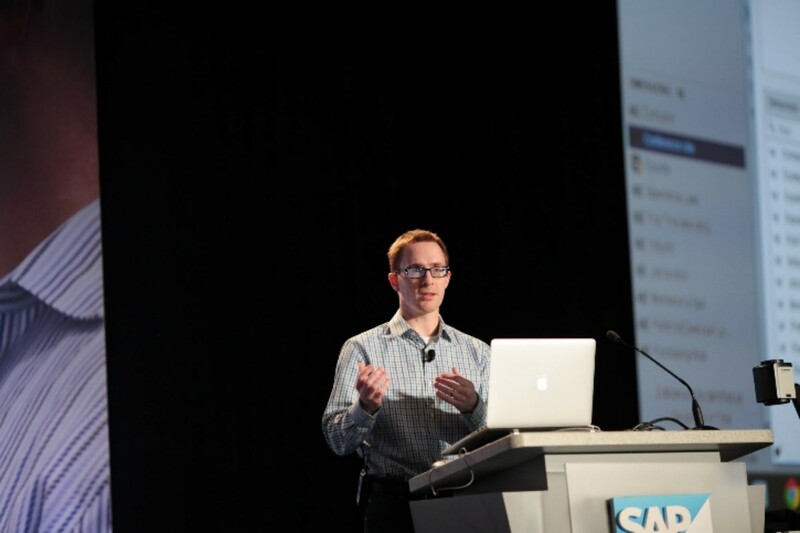 The countdown to SAP TechEd Las Vegas has began and with the many sessions to add to your agenda, we didn’t want you to miss out on adding an Innovation Talk to your list. Innovation Talks are 20-minute TED-style talks about trending topics in the industry. Listen to industry experts from different organizations share their insights and answer your questions on the most influential topics in the industry right now. Topics to be explored include Digital Transformation, DevOps, IoT, Blockchain, soft skills, and more! In this fast-paced session, we’ll discuss some key trends to watch to help you keep your career and skills ready for the future. While those trends – and your response to them – are crucial, you’ll learn something even more important: how you can spot trends in the market, and how to weigh which are just fads and which mark a sea change. You’ll leave this session inspired to investigate some new tech – and armed to find the next trend affecting your own career. Digital business, the intersection of the digital and physical worlds, is the future. And mobile technologies, with their ability to provide always-on access to data and digital tools, are the ideal entry point for digital transformation. Learn how key technologies can help kick-start your digital journey and enable new customer experiences and worker efficiencies throughout your organization. The fastest way to improve your career may surprise you: it’s by better interfacing with humans. During this quick session, you’ll learn ways to better communicate with others. (Spoiler alert: they don’t all think like you do). And when you implement those communication hacks, you’ll see your ideas gain better traction, your projects get completed more easily, and your work life improves. (Your mileage may vary.) You’ll leave with at least one beneficial idea you can put to work immediately. The (IoT) enables new ways of monitoring and managing the moving parts that make up businesses. Innovations in machine intelligence and Big Data can help enterprises re-envision customer experience, operational processes, and business models. However, such IoT systems are challenging to develop, hard to scale, and extremely difficult to secure. This session focuses on a discussion of how to leverage blockchain technologies for a more reliable, trustworthy, and interoperable IoT. Machine learning (ML) is everywhere, but how does it really work? As with any learning, how do we ensure we’re teaching it the right way? During this session, we demystify AI and ML and how they work. Understand the making of a model and the common pitfalls of signal-to-noise ratio, edge cases, and data lineage and latency in enterprise data sets. Learn how to identify and mitigate these hidden challenges lurking within existing enterprise data and the necessary steps to create better ML models. Microsoft is a big customer of SAP and, as such, we also have lots of ABAP developers. They not only look after our SAP systems, they also innovate by leveraging the benefits of the cloud. Learn how Microsoft IT developed the ABAP SDK for Azure, used open source tools like abapGit, and made everything available to the community of SAP solution developers. Learn how Microsoft uses cloud services to innovate and makes services available for everyone to consume. Watch last year’s Innovation Talks here.